We were on our way to one of the churches on our visita iglesia list. While we were walking since there were no jeeps en-route to our destination, I noticed this old structure from a far nicely preserved. As we approached the structure we learned that it is the Lumban Municipal Hall. It felt good that a local government preserved a piece of history instead of altering it. 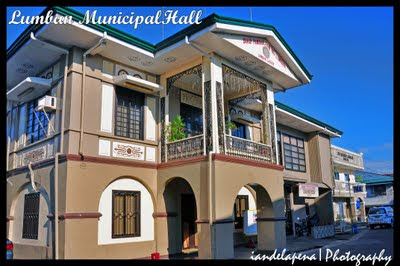 Lumban is a 4th class Municipality and is one of the oldest town in Laguna. Ganda ng anggulo ng pagkakakuha. I have a thing for old buildings kaya nagagandahan din ako sa kanya. ganda nga ng building sir.. pero sawa na ako sa mga ganyan e.. haha.. araw araw ko sila kapiling sa intramuros..